M1 Service Glitch: Rebates, Please! Real Estate Agent Paul Hoe has every right to be angry with M1. He nearly lost an important overseas client after his phone line was disrupted on Tuesday (4 February) morning. “It [the network disruption] is bad to us property agents who have been desperately trying to get in touch with our clients, and vice-versa!” said Hoe. Some 3300 miles away in Tokyo, Japan, his client had been trying to get in touch with him throughout the entire morning, but to no avail. “M1 should waive off this month’s bill instead of giving free calls and or smses on Sunday,” he said. added. He was one of the many M1 users whose work suffered because of m fe Tuesday’s network disruption. 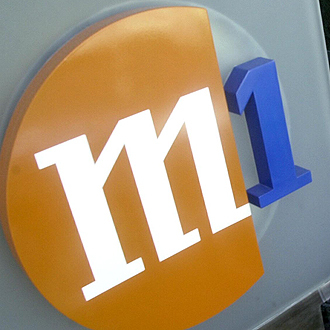 Tuesday’s network outage was M1’s first network outage of the year. But it was not the first time it had happened. Over the last three years – 2011, 2012 and 2013 – M1 was hit with at least three major service disruptions. Starhub has a clean record and Singtel was hit once with a 3G outage in September 2011. To pacify irate customers, M1 announced that it will grant those affected free local calls, smses and mmses for the whole of Sunday (9 February). But is this what M1 customers are looking for from their service provider? Though M1 is lip-tight about how many people were affected by the service disruption, many took to M1’s Facebook fan page to air their grouses. One such person was Kor Chun Heng, who, on behalf of his father who is in the sales and services sector and affected by the network service disruption, raged on M1’s Facebook page. He said his father was mad that he lost quite a few business deals that morning due to the service outage – free calls and smses is not good enough a compensation. Another Facebook user, Wanzo, who happens to be a service staff with SP Powergrid, claims that his work was affected due to the disruption. Writing on M1’s Facebook page, he questions the service provider’s credibility. So, what should M1 do to make its customers happy again? Similarly, M1 user Jez Chng also agree that M1 should waive the February’s bill. She says that there is no real need for free calls and smses since the plan she signed for comes with a stipulated amount of free outgoing calls. M1 customer Seah Kim Ming who has been with the service provider for more than a decade said that M1 should waive off 20 per cent from the next bill or he will seriously consider switching to SingTel. Another long time M1 customer, Norman Tiong, said that the company should waive off February’s subscription if it really wanted to get back into his good books. To ensure that M1’s customers are kept happy, Minister for Communications and Information Yaacob Ibrahim stepped to assure the public that the Infocomm Development Authority will investigate the matter before taking appropriate action on the latest problem. He also asked the agency to make sure that M1’s network functions at an optimum level. Although the minister did express his disappointment with the service provider, he said that “no network service [provider] is foolproof”, however “telcos can improve in the way they update and assist their customers when disruptions occur”. Writing on his personal Facebook page, Yaccob Ibrahim said that it has been a frustrating experience for M1 customers, especially having just experienced other disruptions in very recent months.